The small pieces of wood that are used to start and nurture fires in wood-burning fireplaces and outdoor campfires are called kindling. These sticks of wood must be completely dry to be effective. Some common types of kindling wood include pine and fir. Fuel suppliers such as Firewood Centre have kindling for sale for customers who want the convenience of having dry wood delivered to their doorstep. Darker nights and cooler temperatures bring to mind the image of a toasty fire that heats both hearth and home, but a strong fire with good heat output doesn’t just happen. You need to gradually build one. Think of building a fire as a “recipe” composed of a series of ingredients that are added in steps. The term kindling may be confusing. Kindling refers to small pieces of wood the size of twigs or branches that are easily combustible. Generally, they are cut from larger logs into smaller pieces. 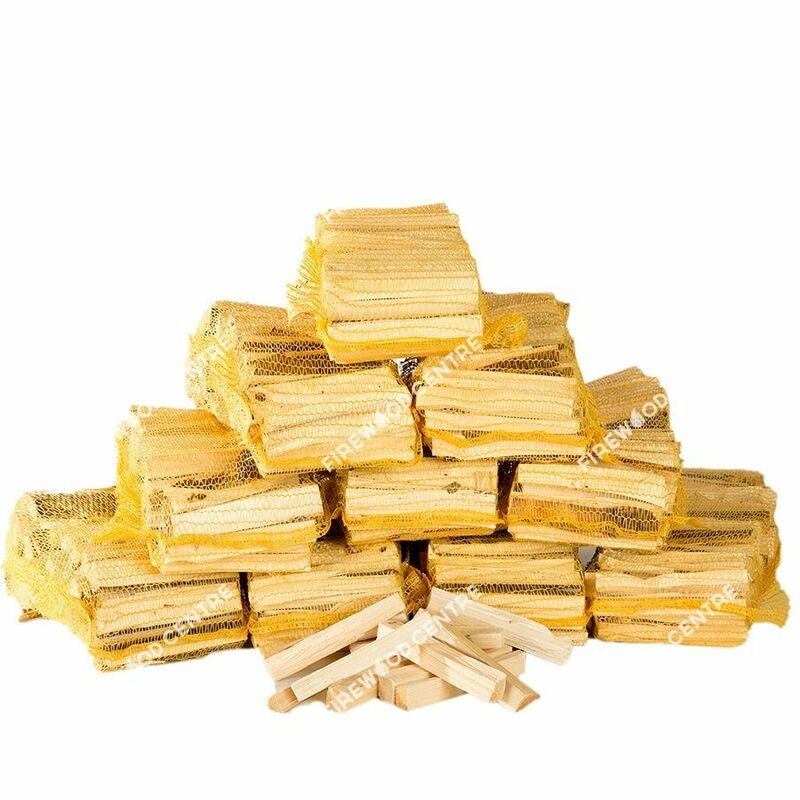 Good kindling has been dried to a level that ensures maximum ignition. Think of kindling as an interim element. The fact is, large pieces of wood don’t catch fire easily. They need help to get them burning. Kindling is added to a wood stove or fireplace after first lighting tinder, light and dry material like newspaper. After the tinder ignites, kindling is added to the flames. Kindling fills the interval between first starting a flame and moving on to adding larger logs that feed the fire. Kindling is an important and cost-effective way to build a fire that burns strong with maximum output and a minimum of smoke. 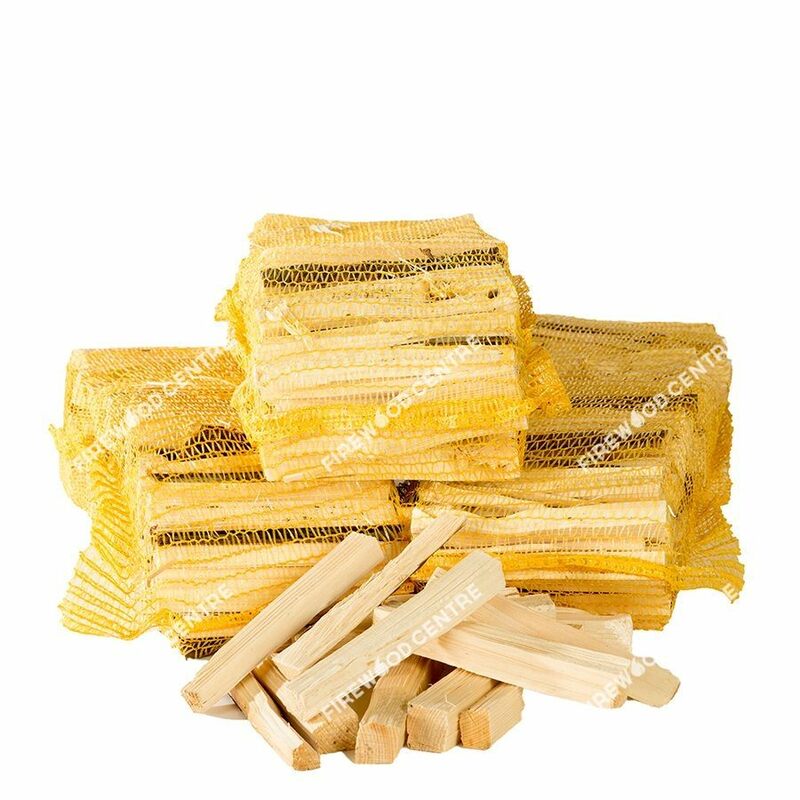 Purchasing kindling from a reputable company such as The Firewood Centre ensures that the kindling is free of paint or finishes that can impair and damage chimneys and wood stoves. Our kindling is naturally dried and cut to ensure it has reached the ideal level of dryness to spark and grow a flame into a roaring fire. The Firewood Centre has gained a level of confidence among our customers for delivering premium logs directly to your door. We are now happy to offer top-quality kindling with every order of our kiln-dried logs. 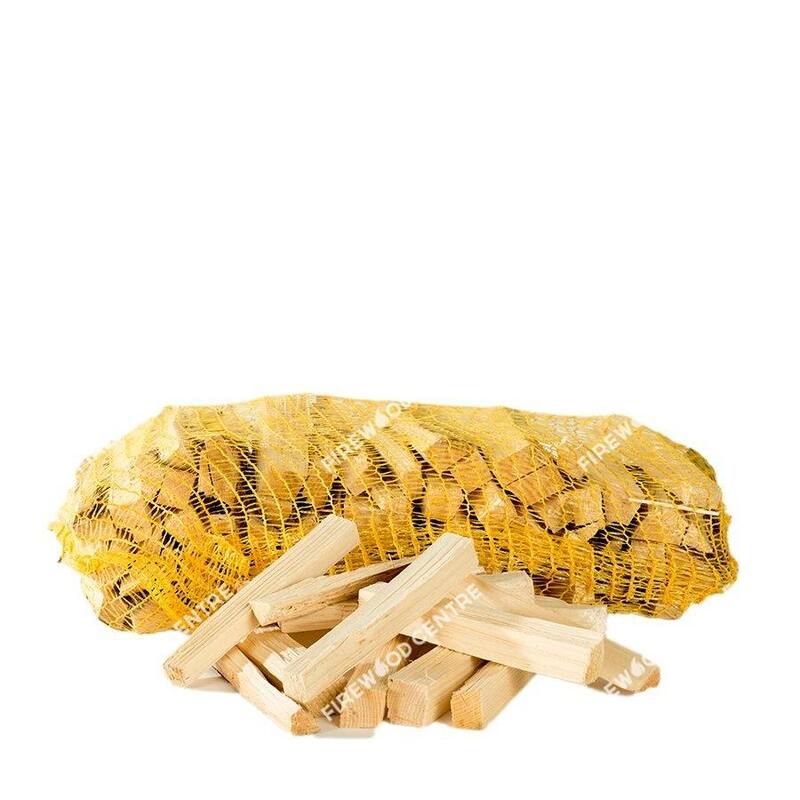 Our kindling comes conveniently packaged in a net bag for easy storage. The Firewood Centre serves the mainland United Kingdom. What’s more, our delivery is free of charge. Orders are shipped to their destinations within two to ten business days. To place an order, simply call the Firewood Centre at 0843 523 5060 and ask about our top-quality kindling and other products. As the weather gets colder, make sure you don’t get caught without plenty of supplies for your wood stove or fireplace. Call the Firewood Centre now to keep everyone warm and cozy and the home fires burning.